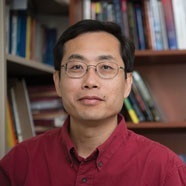 Kim, Younjun, Catherine L. Kling and Jinhua Zhao, “Understanding Behavioral Explanations of the WTP-WTA Divergence Through a Neoclassical Lens: Implications for Environmental Policy,” Annual Review of Resource Economics, 2015, 7, 169-187. Rausser, Gordon C., Leo K. Simon, and Jinhua Zhao, “Rational Exaggeration and CounterExaggeration in Information Aggregation Games,” Economic Theory, 2015, 59(1), 109-146. Wang, Min, Jinhua Zhao, and Joydeep Bhattacharya “Optimal Health and Environmental Policies in a Pollution-Growth Nexus,” Journal of Environmental Economics and Management, 2015, 71, 160-179. Stuart, Diana, Bruno Basso, Sandy Marquart-Pyatt, Adam P. Reimer, G. Philip Robertson, and Jinhua Zhao, “The Need for a Coupled Human and Natural Systems Understanding of Agricultural Nitrogen Loss,” BioScience, 2015, 65(6), 571-578. Fenichel, Eli and Jinhua Zhao, “Sustainability and Substitutability,” Bulletin of Mathematical Biology, 2015, 77, 348-367. Tan, Jijun and Jinhua Zhao, “The Value of Clean Air in China: Evidence from Beijing and Shanghai,” Frontiers of Economics in China, 9(1), 2014, 109-137. Wang, Min and Jinhua Zhao, “Monopoly Extraction of a Nonrenewable Resource Facing Capacity Constrained Renewable Competition,” Economics Letters, September 2013, 120, 503-508. Kling, Catherine, L., John List, and Jinhua Zhao, “The WTP/WTA Disparity: Have We Been Observing Dynamic Values But Interpreting Them as Static,” Economic Inquiry, 59(1), January 2013, 909-921.